On Gallipoli, Beirut bridges indie music with traditional world music elements, creating a work of somber beauty. 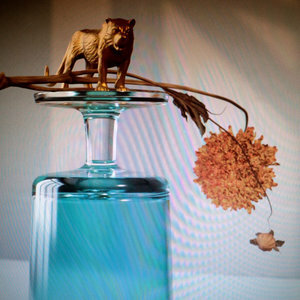 Beirut, the band led by Zach Condon, is a very interesting project with a distinct tendency of blending indie rock concepts with a world music perspective. Through the years Beirut have played around with a plethora of diverse elements, ranging from indie folk to the Balkan folk tradition. And all the while they are still introducing further strange additions to their works, such as a baroque pop element and electronic modifications. Their latter works, especially No No No, saw them further establish this world music narrative with a certain lo-fi ethic that finely balanced their overall vision. The band's new record Gallipoli sees Beirut move further down this path, with the world music influence oozing from the record's core from the very opening of track, "When I Die". The feelings that they transmit are simply mesmerizing, taking full advantage of two distinct worlds. On one end there is a minimalistic element, mirrored through the progression, but then there is a big and imposing instrumentation, which makes the textures of Gallipoli that more rich and interesting. The big horns stand proudly in this mix, while the progression takes on a marching band motif, which makes for an astounding result. This monotonous rendition that Beirut follow, even though at first it might appear underwhelming, is actually one of the most potent elements of this work. "Family Curse" is a prime example of that aspect of the band, which sees the repetitive elements evolve to a towering form. There is a deliberate effort from Beirut to provide again a lo-fi element, which results in the album appearing with a very retro characteristic. It is a consequence of both the production and the choice of instrumentation, and it is something that remains intact even when an alternative element comes along, as is the case with "On Mainau Island". Even the synthesizer of this track has this beautiful and prominent retro feel to it, and that also rises to the surface on the more flamboyant moments of this work with "Landslide" and the staccato synths that kick off this blissful scenery. What all these elements are able to awaken is a distinct feeling of melancholia. Even though Beirut has thrived by performing this amazing contradiction through the majority of their discography, in Gallipoli that aspect appears to be that much more prominent. Both The Rip Tide and No No No preserved this underlying sense, but Gallipoli even though it does not travel towards a grim edge, it is able to bring forth a beautiful sadness. It is a very interesting play around the summer vibe that this record radiates with, with the title track carrying that characteristic, similar is the case with "Gauze Fur Zah", but in the end what is left is a more gloomy tone that provides the album with its central aesthetic. Even though Beirut did not reinvent their modus operandi with Gallipoli, the record stands as one of their stronger moments, mainly due to Condon's perspective towards the feeling of this record. It is a work of contradiction, taking all these world music elements and this laid back vibe, and yet it provides an insight into the band's bittersweet somber core.